The winter is coming to an end, and if you are anything like the Gadget Inspector team, you will be planning which sun-soaked country you'll be visiting for your summer holiday, planning your day trips to the beach, and eagerly watching the band announcements from your favourite festivals. So imagine that you are at your favourite festival or your favourite beach with your best mates around you, and you have just taken the perfect selfie. You know, the one that everyone will see on Instagram and instantly be jealous of? Then, suddenly, your phone battery dies and you can’t upload the picture until the end of the day...or worse, the end of the weekend! We have all been in that situation, and that's why the Ultra Power Bank has made our Gadgets We Cannot Live Without This Summer list. 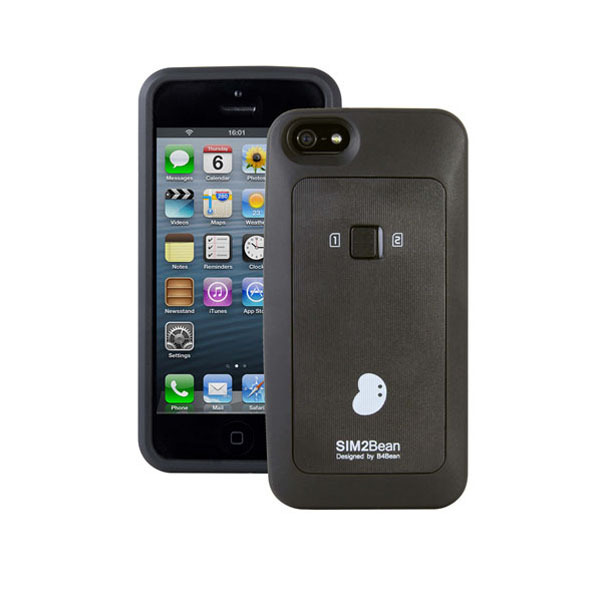 This super-powered battery charging device can fully charge your iPhone 5 times on one charge! This makes it super-useful for those days when you want to just lay by the sea, catching some rays. Hopefully you are now convinced that this is the gadget that you can’t imagine spending your summer without this year. The good news is you can buy the Ultra Power Bank today from Gadget Inspector for only £40.00, leaving you with a bit of extra cash for your summer plans! It seems like just about everyone owns a smartphone nowadays. 10 million people bought the iPhone 6 when it came out in September, and even that gargantuan figure is peanuts compared to the number of people who own Androids, Galaxies, Blackberries, Nokias, and so forth. There's no doubt about it: we are the smartphone generation, and our mobiles are just as dear to us as Benny Goodman was to our parents and grandparents. And, with Christmas coming up, this universal obsession with all things smartphone ensures that you've got a whole bunch of great gift ideas right at your fingertips. It doesn't matter who you're shopping for, because everybody - old and young, male and femal - has a smartphone nowadays, and each of those smartphones has a whole arsenal of accessories and add-ons to go with it. Plug in your phone using the audio cable provided and get ready to ROCK OUT! Our Price: A rockin' £15. 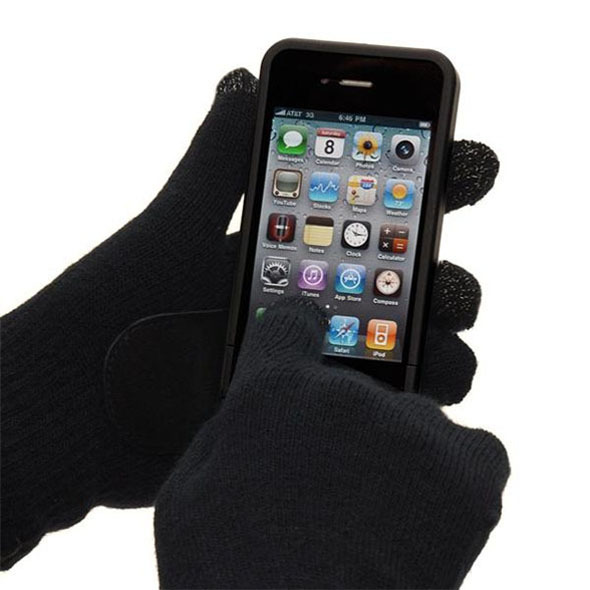 Ideal for: Perpetually chilly gadget geeks. Compatible with: Any device with a touch screen. Our Price: A cool £3 per pair! Got more than 1 sim card? No need to get a second phone - just use this sim card switcher to flick between the two instantaneously! Ideal for: People with two SIM cards and only one phone. Compatible with: iPhone 5 and 5s. Our Price: £29.99, which is considerably cheaper than buying a second iPhone. Click here for even more awesome smartphone accessories! Are You All Fingers And Thumbs With Your Smartphone? Smartphones can be difficult to use, especially when the touch screen icons are so small, and you're all fingers and thumbs! With the App Writer Touch Screen Stylus, using your touch screen smartphone becomes a lot easier. This nifty little gadget enables you to have faster gaming, easy messaging and better drawing! The App Writer plugs into your headphone socket, and is attached on an elastic cord, so it is so easy to use! It also includes a precision touch stylus tip, and it really is precise allowing you to press any button you wish! We have lots of different designs for you to choose from, so however you want to portray your personality, you can! At just £4.49, this is an absolute bargain and a great idea for Christmas stocking fillers! So what are you waiting for? You'll never mistype anything ever again, and you'll be completing all of your games with ease now that you have the App Writer! With Christmas not too far away, present shopping is mostly well under way for the majority of you! So we have some of the latest gadgets for you to add to the gift ideas list! Your family and friends are going to love you this Christmas! The Micro Drone 2.0 is an absolute favourite, and such a bargain at our special offer of £39.99! This is a must have remote control gadget, that has so many impressing features!! These features include; ability to support a camera (must be bought separately), it is ultra-stable and very responsive, it has a strong metal structure to withstand any crashes - just to mention a few! So if you know someone who loves remote control gadgets, this is the ideal gift. If you have a smart phone that has the panoramic feature available, this is a must have gadget! The Panoramic Pod allows you to take amazing panoramic photographs, without the annoyance of a shakey hand! All you have to do is fit your phone within the clamp and wind up the pod - then the gadget does the rest and the end result is a stunning panoramic image! Another smart phone must have is the Magnetic Induction Speaker Plus! This nifty gadget amplifies the sounds coming out of your smart phone, no wires or connectors are necessary! You simply place your smart phone/tablet/mini tablet (it works with any device that has an internal speaker) onto the stand with the internal speaker close to one of the induction points and the sound is 'magically' amplified. Cool right? You can even use the USB to charge your mobile device whilst you are listening to music. This is one snazzy speaker, and perfect for travelling and being on the go! Hopefully showing off some of our latest gadgets has eased the stress that is Christmas shopping! These gadgets are so good, you may be tempted to buy them for yourself!